The Sun and Venus (Love) transit your 9th House of overseas travel, people from distant shores, higher learning and publishing throughout February, Gemini. This will be a romantic month to remember, Gemini. You're always restless and hungry for more knowledge, so this month will be to your liking as Jupiter (planet of good fortune, expansion and luck) moves forward in your sign bringing answers to questions that have baffled you, personal and otherwise. You learn exactly where you stand this month in love and you enjoy what you discover in a love relationship. 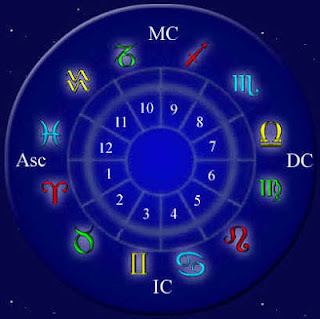 You will appreciate the benefits that come with having Jupiter in your sign. More good news? Venus (love, admiration) enters the compatible air sign of Aquarius and also transits your 9th House of overseas travel, spirituality and higher learning and will positively influence these areas. Your love life will run smoothly and relationships, personal and professional will consume your time and attention. Venus (Love) in Aquarius is in your 9th House of publishing, higher learning, spirituality and people from overseas, and this placement will bring gains, admiration and a strong urge to travel with a romantic partner. You notice these areas are favorable for you this month, so proceed with care, Gemini. Don't go breaking any hearts! Mars (Physical energy) enters Pisces (Your 10th House of prestige, authority figures and public recognition) on 2/1 - and will remain there until 3/12. Where Mars travels provides you with the energy and wherewithal to get motivated especially in these areas of your life, Gemini. In the water sign of Pisces, you notice your intuition is spot on and professional offers will come your way, Gemini. Those Geminis seeking employment should network as much as possible during this transit. Just try to get your goals accomplished before 2/23. Your ruling planet, Mercury, will turn retrograde in the sign of Pisces from 2/23 - 3/17 and your energy could stall or slow down. A New Moon occurs in Aquarius and your 9th House on 2/10. You could be overly focused on events taking place overseas, travel, higher education/learning and you could be given new opportunities in these areas. This New Moon promises pleasure, satisfaction and the pursuit of adventure coming into your life. A Full Moon occurs in Virgo on 2/25. This Moon illuminates your home and family life. All interactions with family members bring stronger bonds, lots of entertainment, laughter and fulfilling encounters. You could also be consumed with health issues or a publishing project on this date. A Cancer, Capricorn and an Aquarius will have a strong impact on your life this month, Gemini.